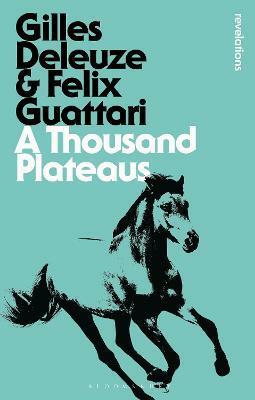 A Thousand Plateaus is the second part of Deleuze and Guattari's landmark philosophical project, Capitalism and Schizophrenia - a project that still sets the terms of contemporary philosophical debate. Written over a seven year period, A Thousand Plateaus provides a compelling analysis of social phenomena and offers fresh alternatives for thinking about philosophy and culture. Its radical perspective provides a toolbox for `nomadic thought' and has had a galvanizing influence on today's anti-capitalist movement. 2. 1914: One or Several Wolves? 6. November 28th, 1947: How Do You Make Yourself a Body Without Organs? 8. 1874: Three Novellas, or "What Happened?" Felix Guattari (1930-1992) was a French psychoanalyst, philosopher, social theorist and radical activist. He is best known for his collaborative work with Gilles Deleuze.